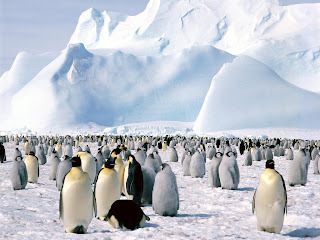 World Nomads and National Geographic offer budding travel photographers the chance to win a scholarship to Antarctica. You will be accompanying National Geographic on-assignment photographer Jason Edwards for a 11-day photo shoot on board M/S Expedition around the South Shetland Islands and Antarctic Peninsula from 22nd November until 2nd December 2009. Competition ends 4th October. This competition is open to all non-professional photogarphers from all over the world and you need to submit a maximum of 5 shots telling a story about a place. For more information, visit the WorldNomads website! Good luck, everyone!